Could Debt Management Help You? Identity theft is sneaky. It creeps up on you without any warning to ruin your day and wreak havoc on your most personal information and, inevitably, your finances. In short, you want to do all you can to avoid it and the wreckage identity thieves leave in their wake. 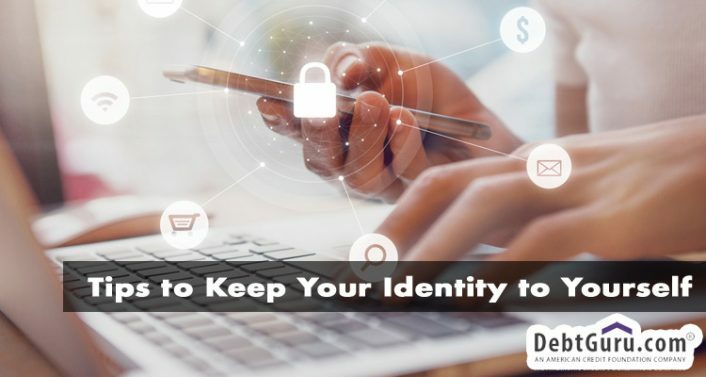 Fortunately, there are several preventative measures you can take to keep your identity and your money safe from those who have no business having access to it. Let’s take a look. 1. Keep your Social Security Number as private as possible. First and foremost, don’t carry your card around with you, as you’re more likely to lose it while you’re out and about. Second, don’t give out your number unnecessarily. Remember, only governmental agencies, banks, lenders, credit bureaus and employers need it. If anyone else requests it, answer them with a firm, “No!” This includes unsolicited requests by phone, email, or mail. 2. Watch your credit like a hawk. Checking your credit report regularly for suspicious activity should be a no brainer, so aim to do so quarterly. If you forget, at least make sure to obtain your report once a year, which you are entitled to at no cost. Check out www.annualcreditreport.com to access it. If you spy anything amiss, such as an account you didn’t authorize, contact the three credit reporting agencies (Equifax, TransUnion and Experian) to request a freeze of your credit reports. Keeping an eye on your credit activity also includes scrutinizing your credit card statements and bank statements each month with an eye out for charges you didn’t make and whether or not the billing cycles suddenly change or if your statements are late. 3. Shred old documents like it’s your job. Any papers with financial information or your Social Security Number included should be destroyed. Think offers for credit cards, expired cards, account statements, etc. Don’t underestimate a desperate criminal who’ll have no qualms about combing through your trash in search of you digits. 4. 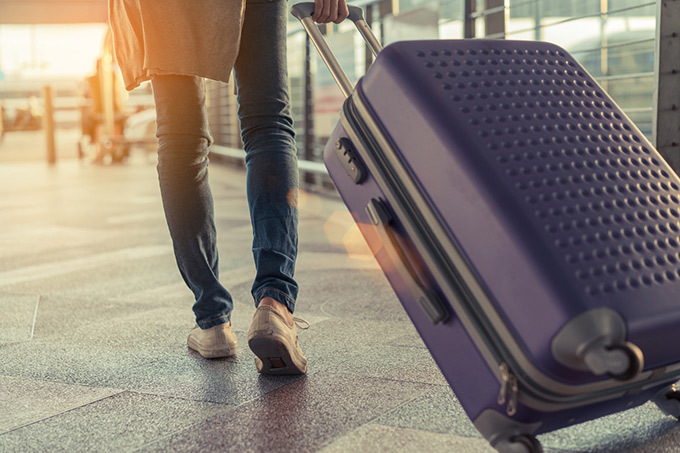 Travel lightly. In other words, don’t leave home with every one of your credit cards crowding your wallet. Take only what you’ll need and leave the rest stored in a safe place behind the locked doors of your house. With that said, it might be a good idea to invest in a lock box or some sort of safe where you can stash any and all financial documents and other important papers you want to keep private. 5. Manage your mail. Make sure to bring it inside as soon as you can, enact a hold on your mail when you’re out of town, and take note if you stop receiving mail altogether. Any changes in your regular delivery can be a clue that something’s wrong, even signaling someone else has attached their address to your name and is collecting your mail. 6. Protect your home Wi-Fi. Make sure your network is password protected, and, for good measure, take pains to ensure your password is complex and changed fairly often. 7. Be wary of surfing public Wi-Fi networks. Of course we all access these networks from time to time, oftentimes at bookstores, libraries, or coffee shops. But be careful what you view when you’re using out-of-home computers. Avoid looking at financial or otherwise sensitive, private information, and wait until you get home to check your email. 8. Take advantage of your devices’ security options. Like with your home internet network, all of your devices should be password protected. Smartphones also offer features designed to protect your information, particularly if your credit card information is stored onto your phone when you shop online. What’s more, check that your phone can erase your financial information in case of loss or theft. 9. Pick new passwords. You should regularly update your password on all of your financial accounts. Make your password harder to crack by using symbols like “&” or “#.” Avoid using obvious, easy-to-guess passwords like your pets’ names, your birthday, or your anniversary. 10. Exercise caution when shopping online. Don’t store credit card information on your favorite retailers’ websites. And if you’re shopping on a new or unfamiliar site, make sure the website is secure. Two things to look for: The URL should begin with “https” — not just “http” (the “s” stands for “secure”). And make sure there’s a little padlock in the address bar of your browser. As you can see, there are several solid ways to protect your identity and your money. Implementing as many of them as you can, hopefully all, is a great way to do your due diligence when it comes to shielding your identity from those who would help themselves to it and to your money, as well. Don’t let them! If you need further assistance, the team at DebtGuru.com is here to help. 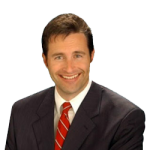 Mike is the author of “Reality Millionaire: Proven Tips to Retire Rich” and he has been published in a variety of local and national publications including Entrepreneur Magazine, Deseret Morning News, LDS Living Magazine, and Physicians Money Digest. He holds a B.S. in business administration from the University of Phoenix. We offer FREE Debt Counseling. Get answers to lower or eliminate your debts.